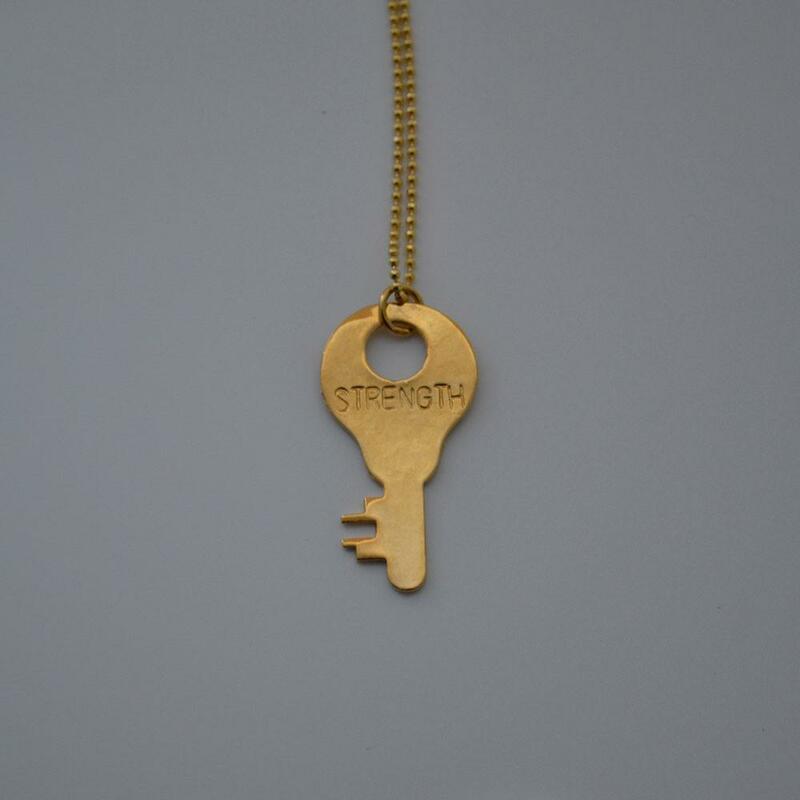 The Giving Keys Precious Metal collection is designed for those who want something special. Made with the same care and love as the standard Giving Keys, these are hand-cast silver with either a white or yellow 14kt gold finish. 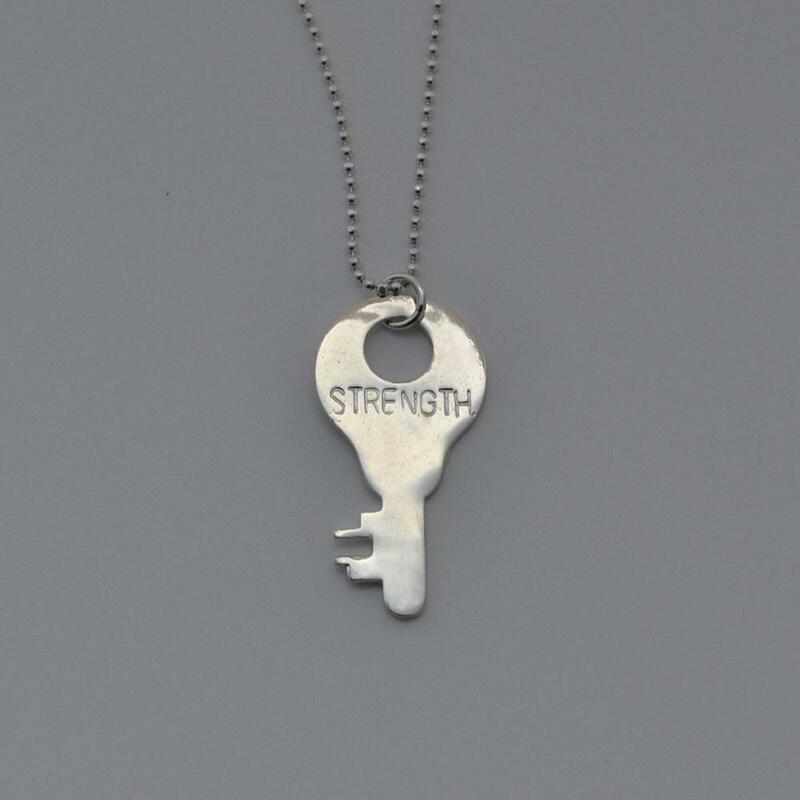 This Giving Key is stamped with the word "Strength".